Everyone likes the personal touch. It’s the nice feeling when someone you wouldn’t expect remembers your name or when the barista hands you your usual coffee before you order it. Good marketing is no different. It creates lasting relationships with customers by letting them know they matter and treating them as individuals. It’s not just the warm fluffy feeling it creates that keeps marketers getting up-close and personal. Personalised emails receive 10% higher open rates, 14% higher click-through rates and delive 58% of email revenue (DMA, 2015). The days of the ‘one-message-fits-all’ sales pitch are over. Bombarding your customers with irrelevant email content is not only inefficient and costly, it turns the customer off. They become disengaged, key messages don’t get cut-through and your email communications become wallpaper in the inbox. Before you panic that your latest campaign will be buried in the inbox forever, relax. This guide is here to help you put together a personalisation strategy whatever stage of email marketing you’re at. 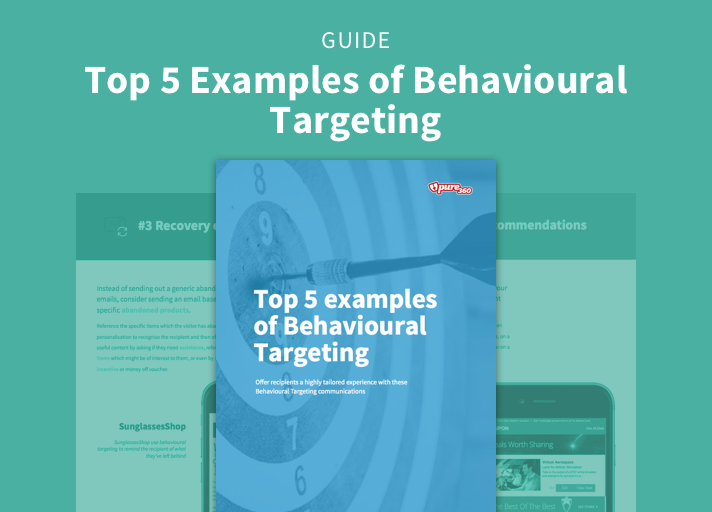 From the ‘insert customer name’ novices, to those creating a personal one-to-one dialogue with each person on their database, this guide contains ideas, suggestions, and actionable insights that can help you to fully realise and utilise the power of personalisation. When used effectively in your email marketing, it can drive engagement and improve your open and click through rates. In fact, The DMA recently discovered that personalised emails receive 10% higher open rates, 14% higher click-through rates and deliver to 58% of email revenue.